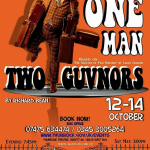 Thurrock Courts Players bring you their autumn production. Fired from his skiffle band, Francis Henshall becomes minder to Roscoe Crabbe, a small time East End hood, now in Brighton to collect £6,000 from the dad of his fiancée. But Roscoe is really his sister Rachel posing as her own dead brother, who has been killed by her boyfriend Stanley Stubbers. 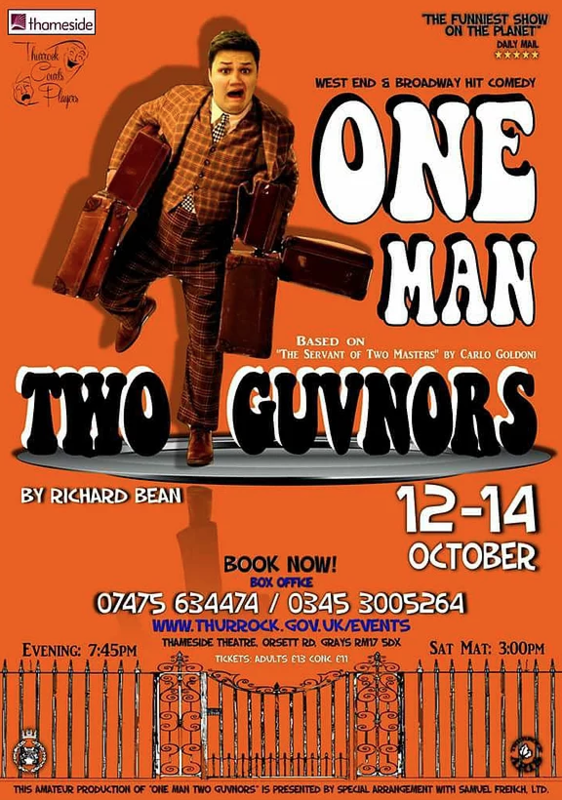 If your favourite seats are not available with us please visit thurrockcourtsplayers.co.uk/whats-on to check for further availability, or call 07475 634474.